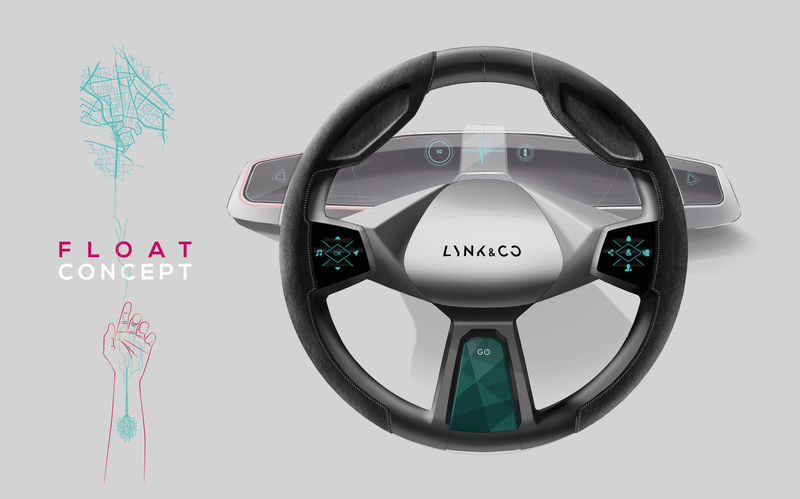 A workshop made in collaboration with Lynk & Co. 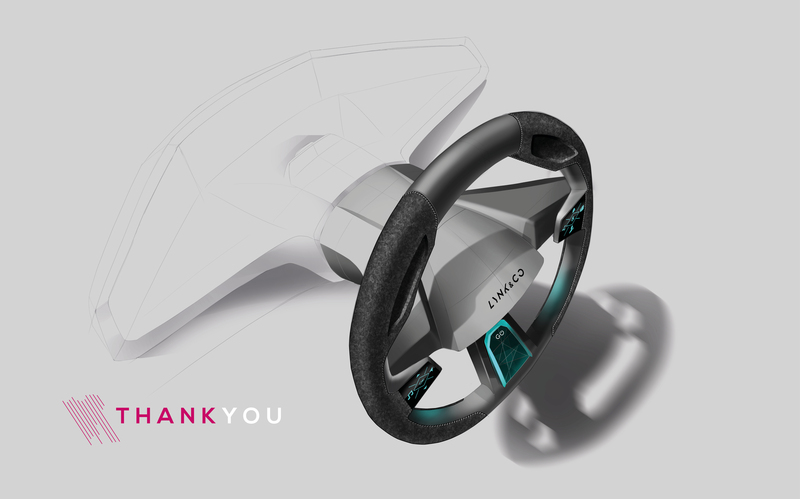 The final design proposal aims to transform the steering wheel into a ‘scene of interaction’ that is both ergonomic and playful. 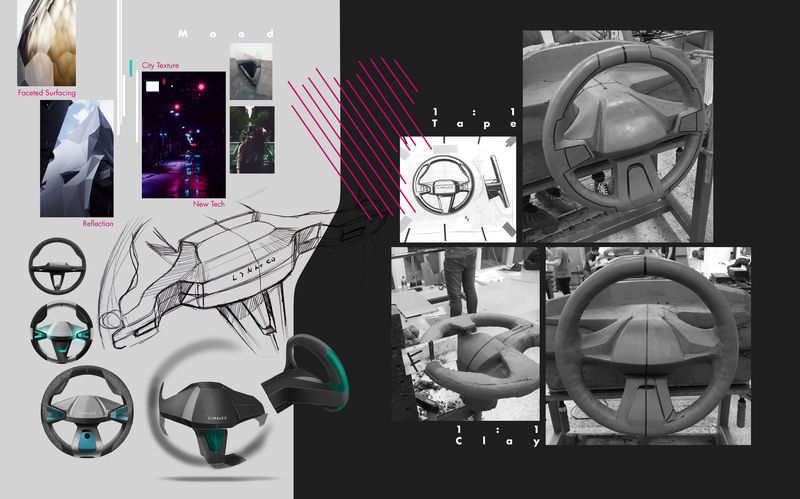 This is done by having a ‘layered’ layout, where the big faceted surfaces in the back can reflect the ambient lights. 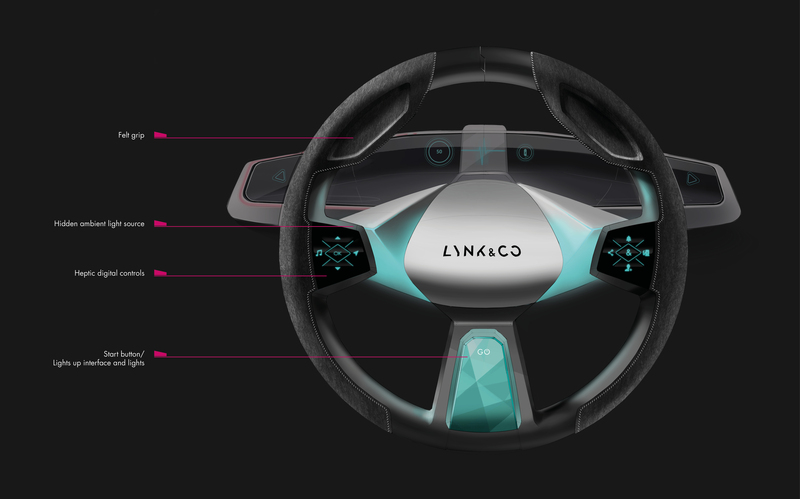 The ambient lights are hidden behind the front ‘layer’ where the heptic controls are placed. 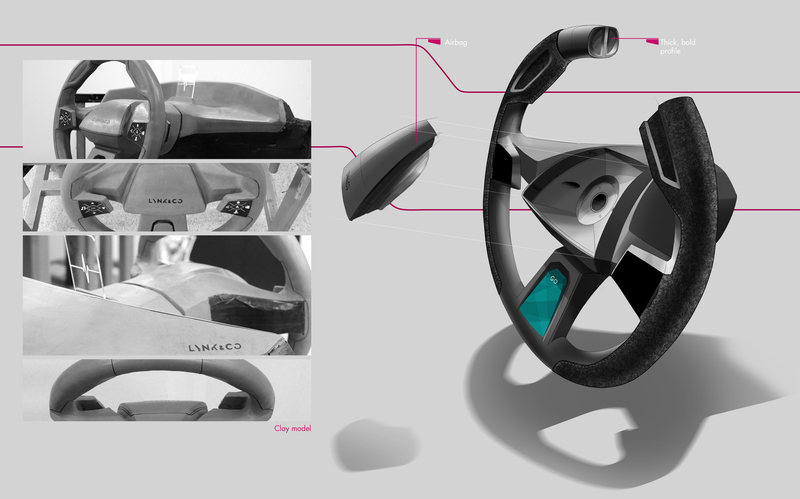 The steering wheel is designed as a realistic production piece, targeting the young, urban, car-sharing users.